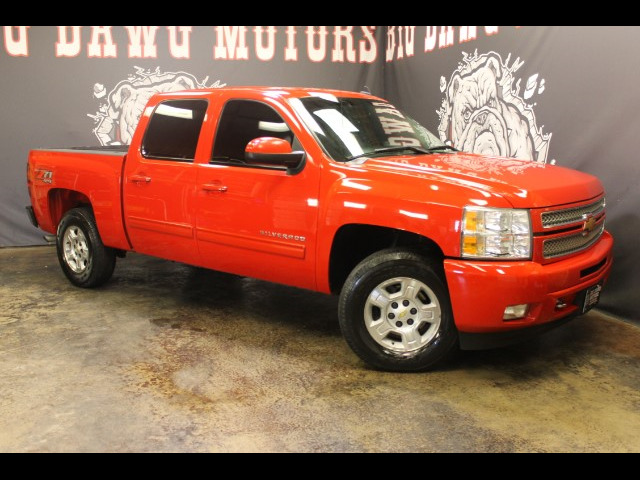 2013 CHEVROLET SILVERADO 1500 CREW CAB LT, 4X4 Z71, 5.3L V8 ENGINE, 124K MILES, BLACK INTERIOR, CENTER CONSOLE, TOW PACKAGE, ALUMINUM ALLOYS, BED LINER, POWER SEATS, STEERING WHEEL CONTROLS, Z71 OFF ROAD PACKAGE, TINTED WINDOWS, BACKUP SONAR, VERY NICE, VERY CLEAN TRUCK!! NEVER BEEN IN MUD, WELL MAINTAINED, GREAT LOOKING CHEVY!! !